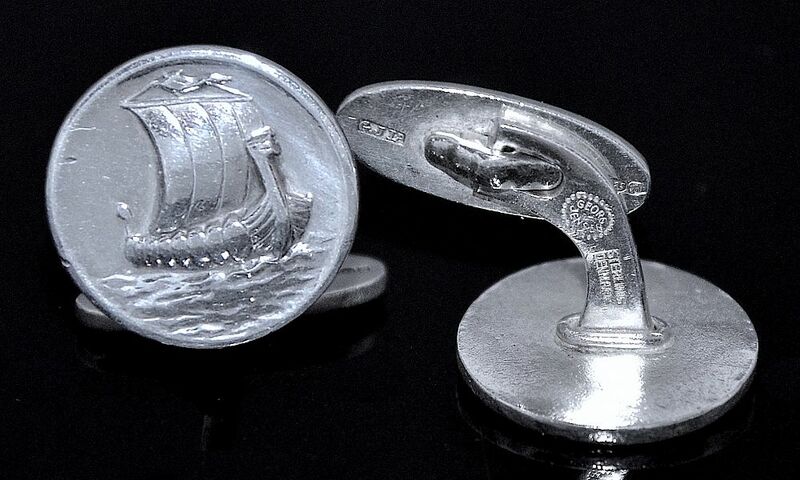 And yes yet another elegant pair of silver cGfflinks by Georg Jensen this time with a viking longboat decorating the round top. There is a curved arm withe a "whale tail" fitting. One side of the arm bears the oval dotted edge Georg Jensen cartouche (1945 to present day) and "Sterling Denmark" and the other side is stamped "50". 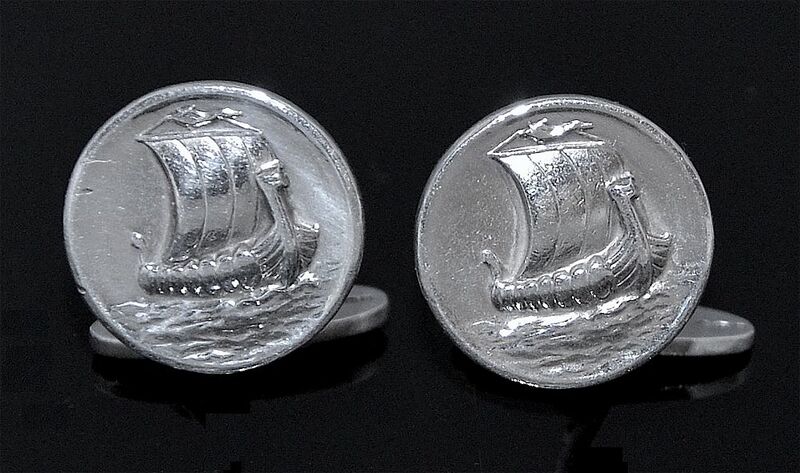 These cufflinks also have English import hallmarks and are hallmarked for silver and 1970 and bear the sponsor's mark "GTLd" for Georg Jensen.